Activism is high on Netai’s list of priorities, or at least he thinks as much. As a member of the working class and a young man who is loyal and determined, Netai finds himself deep in the throes of the Naxalite during the decades of the eighties and nineties. While his involvement in the ever-increasing political movement increases, so does the tension within his parents’ household. His mother, afflicted with cataracts, struggles day in and day out while his hard-working father faces his own inner turmoil at being asked by his son to host the members of the resistance. Nowhere is the battle for emancipation so strongly felt as in Netai’s own household. 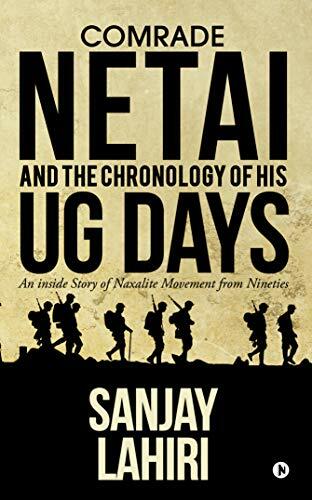 Sanjay Lahiri’s Comrade Netai and the Chronology of His UG Days traces Netai’s battle with his own participation in the resistance. As he goes about work in the mines, he is privy to a firsthand look at the suffering of the men and women employed there, the reality of back-breaking work, and the hardships of the working class. Lahiri paints painfully clear pictures of the desperation of the mine workers’ struggles in day-to-day living. The bulk of Lahiri’s effectiveness is nestled neatly in his main character’s own horror at the atrocities he witnesses. The author leaves nothing to the imagination as he describes the most shocking scenes of life as a mine worker. When Netai finds himself in awe of the scenes he witnesses, the reader is pulled along as an unwilling participant. Lahiri’s writing is vivid and exceptionally effective. Details are Lahiri’s strong suit. On every level and in every way, Comrade Netai and the Chronology of His UG Days exists as a portrait of life in activism. A work of political fiction, Lahiri’s book provides a unique peek into the intense consideration given to decisions, elections, and organization of a revolution. Readers see the true rigors of rallying around a cause. For me, nowhere was Netai’s struggle as clear as when it is pointed out to him that he has not had a change of underclothes and has exposed himself to infestation by chillars, insects growing in hay. Netai’s lack of hygiene is but one of the signs of the way in which his dedication to the cause is wreaking havoc on his psyche. Lahiri’s key character, Netai, demonstrates an endearing eagerness despite the hardships he endures. He is an inspiring character filled with bright-eyed optimism and a strong desire to learn the ins and outs of the political processes involved in making change possible. As he is offered the opportunity to represent the state, his enthusiasm is positively contagious. Comrade Netai features well-drawn characters and a relatable main character who wears his heart on his sleeve and exhibits humanitarianism along with a certain level of blind innocence. The subplot surrounding Netai’s parents is engaging and powerful. Comrade Netai is a must-read for any fan of political fiction and activists across causes and continents. Lahiri unites readers in a common bond–justice. 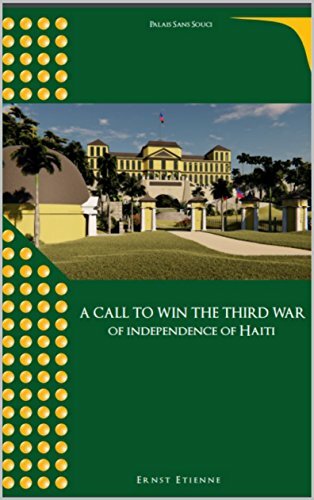 A Call to Win the Third War of Independence of Haiti is a summary of the history of the island, taking us on a journey starting all the way back from the pre-Columbus times to the modern era. Ernst Etienne takes a distinctly patriotic approach during this condensed, 80 odd page long book, but also provides a very practical overview of a little known history of Haiti. Etienne rounds up his book with his view of the reasons for the downfall of the nation and the ways it could get back to its feet. Ernst Etienne take on the early history of the island is highly romanticized. Pre-Columbian settlers of the island, one would gather from the pages, lived in idyllic societies without any problems. The cause of all ills of Haiti is the white man, one would gather from this book. Depending on the political views of the reader, Etienne’s view of historical and current events will have to be interpreted by every reader individually, depending on political views that he or she has. Despite that, the book has some elements that make it universally valuable. Etienne’s recounting of the history of Haiti is well done, following a simple and understandable chronological structure. He points out important events in the history of the island and paints a clear picture of the reasons they happened. He is also relatively unbiased when recounting some of these events, often naming the atrocities done by the islanders themselves. The highlights of the book are the recounting of military events that littered the small nation. Etienne’s description of the war that Haiti had with the powerful nation of France, and the eventual victory, is a fascinating tale. Another valuable part of the book is the description of The Citadel Laferri’re, a magnificent fortress that was turned into a World Heritage Site in 1982. The last part of the book covers the downfall of the Haitian nation. Ernst Etienne recognizes that most of the problems of Haiti stem from the population itself. He preaches unity for his people, urging them to unite under the singular goal of creating a powerful nation. He delves into the root of problems for Haitians through the examination of events done a hundred years ago or more – a common theme in nationalistic works. Then, he shifts to his vision of the future of Haiti, explaining how making his nation prosperous will not only serve the population of the island but the world at large. His proposed policies will, yet again, have to be judged by the reader individually, as they do have a particular political and economic angle to them. A Call to Win the Third War of Independence of Haiti is a good intro into the history and the current situation of the nation of Haiti. While it does take a distinct point of view of historical and current events, it is a concise and fast read, worth the invested time.